We at Tufts University’s QSN Chapter aim to provide a healthy and safe space for our members, a community in which we strive to help each other succeed in a place like Tufts. Each of our members is a strong pillar that holds up our community. We became recognized by the Tufts Community Union in 2014 and have been working with admissions and the deans to help us create a flourishing QuestBridge Chapter. 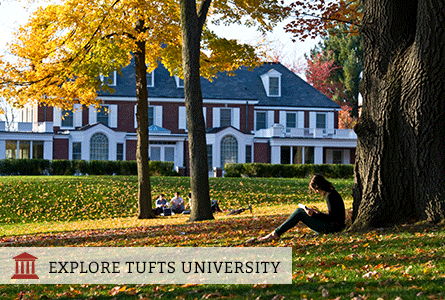 The admissions office works with our chapter by helping us connect with newly matched QuestBridge Scholars to Tufts University. Therefore, the new Scholars have a familiar face upon arrive on campus. Since 2014, our chapter has actively been involved with Quest Mentoring, as well. This allows our upperclassmen to get involved by matching them with an underclassman who they will mentor for the academic year. Some of the events we provide for our members include brunches and ice cream socials. We’ve also done study breaks in which we get together during finals and take a small break from the stress. Tufts University has an annual QuestGiving; this past year we invited Williams College for our event and shared food, laughter, and created memories together.